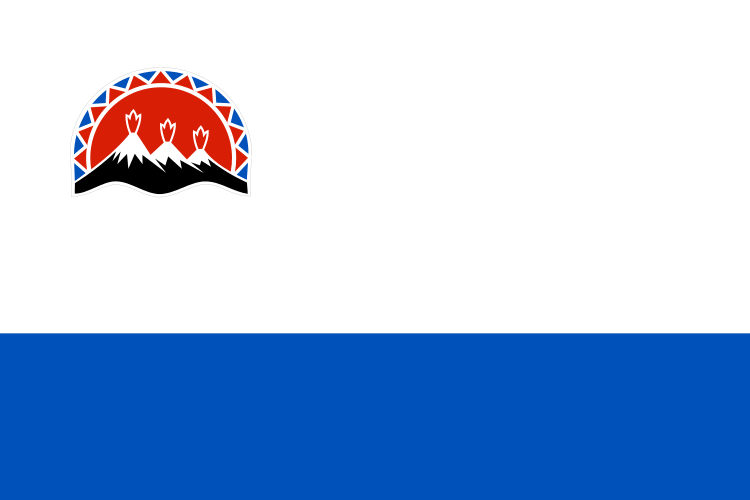 The flag of the Russian Krai of Kamchatka consists of two horizontal bands of white and blue with the region’s emblem in the top left corner. The region’s emblem consists of three black volcanoes with snow capped peaks and red flames. Behind the volcanoes is a red sun bordered by alternating and interlocking red and blue triangles. This flag was adopted on February 17th, 2010.